6" Candy Dish. I put this together on my kitchen counter one very early morning. 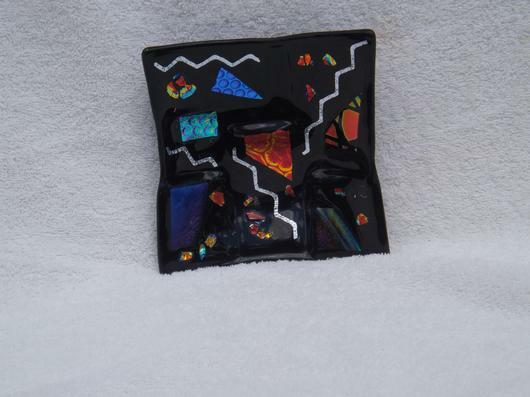 It was an experiment with dichroic glass pieces and slumped.